An entrepreneurial fitness fanatic has traded suits for shorts as he follows his dream of opening his own gym. Scott Beattie was until recently a drilling engineer for Shell. 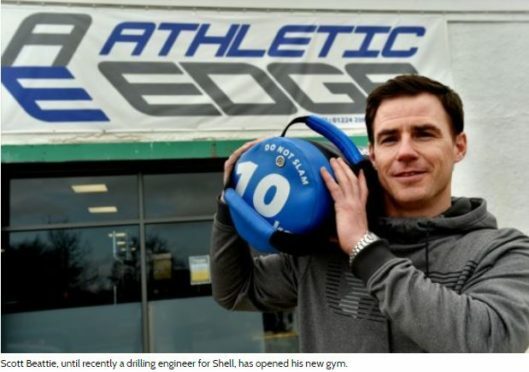 But having worked in oil and gas for a number of years the 34 -year-old former Cults Academy pupil decided it was now time to make a living doing what he was passionate about.